Sustainable Agriculture is our goal! The Gloucestershire Old Spots Pig is a truly remarkable animal. The breed, as a general rule, has a very sane, calm temperament. They are excellent mothers, and do very well in all types of climate situations. 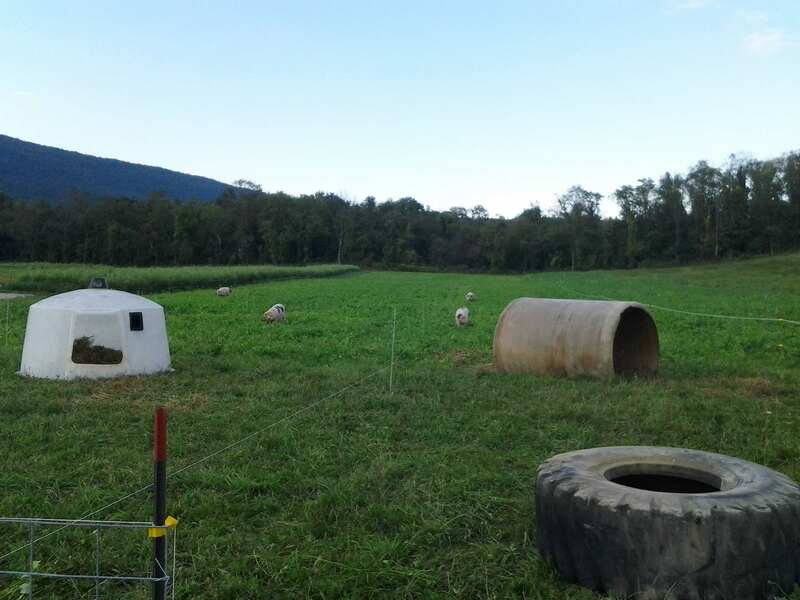 GOS pigs work in the pasture environment very well. 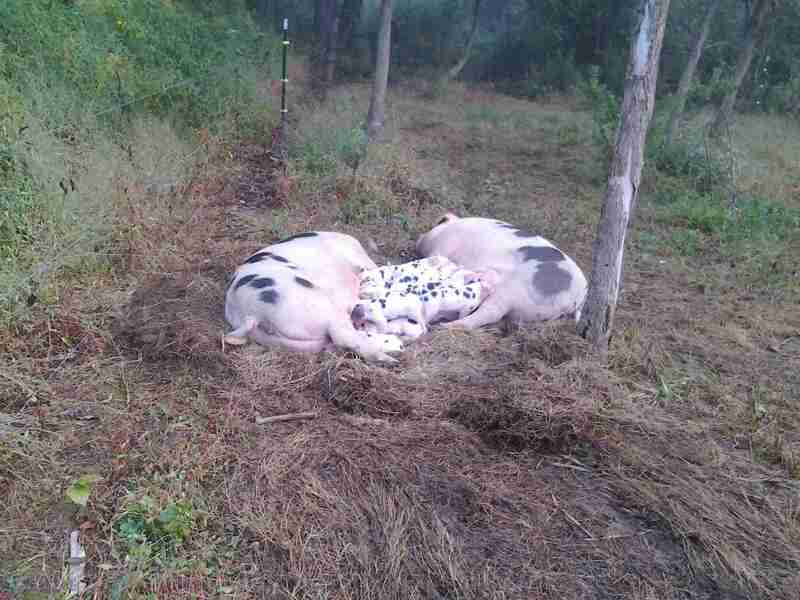 This is why we have chosen them for our "Pasture Pork" line. Our goal of sustainable agriculture will be attained raising animals in a humane and as natural way as possible. We do not use medicine in a prophylactic way. Most pig factories have antibiotics constantly in the pigs diet. We only treat what must be treated and breed for better resistance and vigor. 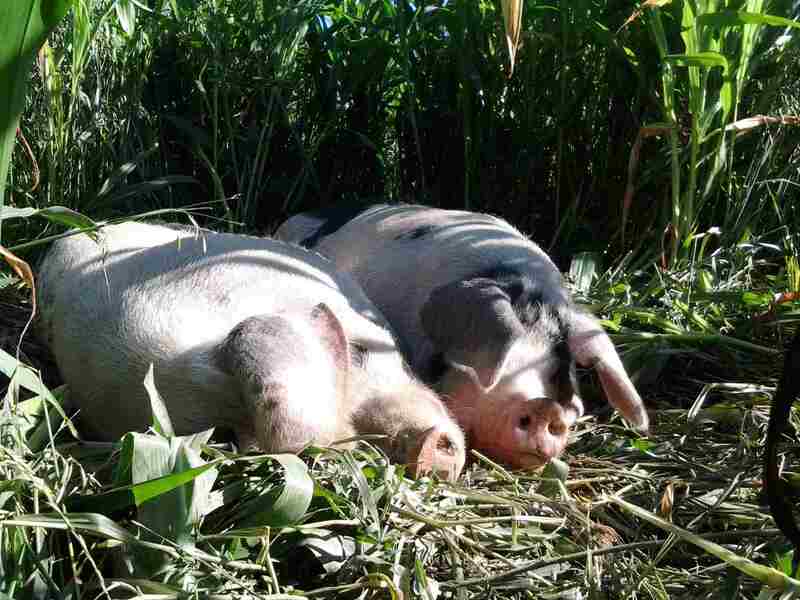 Our pigs interact with our land and make it better than they found it.